Maes y Lade is a converted Welsh Hill farm at the foot of the Black Mountains, within the Brecon Beacons National Park, Wales. With 63 beds in two self-contained buildings, plus outhouses, the centre is a fantastic base for clubs, schools and private groups to explore the local area. Maes y Lade is in easy reach of the River Wye, the Brecon Beacons and limestone areas to the south containing some of the most extensive cave systems in Britain and both natural and quarried climbing areas. This local environment provides an area of outstanding natural beauty, and means we are able to offer courses of an adventurous and challenging nature including abseiling, mountain biking, rock climbing, caving, canoeing, gorge walking, kayaking and mountain walking. Maes y Lade is run by EBGC’s David Hassard, who has made the permanent move from Essex to Wales. The centre is available for youth groups, schools and private groups to hire. Although our primary aim is to fill the centre with young people from Essex, we welcome young and old from everywhere! At the foot of Carrock Fell sits High Row, our outdoor pursuits residential centre in the Lake District. Just a short drive off the A66 and about 10 miles from Keswick, within minutes of Penrith, the centre provides a unique opportunity to explore the beauty of the Lake District through outdoor pursuits and activities. High Row offers so many possibilities for young people to have a life-changing residential experience – from living together and sharing the domestic chores to experiencing all the challenges of adventurous activities (hill walking, mountain climbing, gyhll scrambling, abseiling, mountain biking, watersports and much more), all the while being away from TV and mobile phone reception. The centre was formally known as the Carrock Fell Youth Hostel and is ideally situated for access to the Caldbeck Fells, Blencathra and Skiddaw Forrest. There is also easy access for the many watersports opportunities in the Lake District. Working together with members of Maryport Boys’ and Girls’ Club, the centre has been refurbished to provide comfortable and welcoming accommodation all year round. 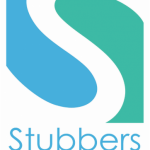 Stubbers A dventure Centre provides a range of land and water based adventurous activities for people of all ages and abilities. Climbing, Quad Biking, Jet Skiing, Sailing, Tunnelling, Archery and High Ropes are just some of the activities that are on offer. Centre staff will be happy to arrange a programme that is ideal for your club whether it be a children’s birthday party, annual school or club trip or company team building day. Youth groups affiliated to Essex Boys and Girls Clubs benefit from a 20% discount on Stubbers publicised rates. To book your visit please call 01708 224753. Ockendon Road, Upminster Essex RM14 2TY. Layer Marney Outdoors is our newest outdoor centre, set to open in Summer 2018. Based in the grounds of Layer Marney Tower, we will be delivering a range of activities such as Raft Building, Laser Tag, Bushcraft and Archery. As well as all of our activity sessions, we are happy to provide programmes and sessions that support your objectives and meet the needs of the curriculum. In addition, sessions will be accessible for all; there will be something for everyone! Click here to see the Activity Objectives and Learning Outcomes. Wondering what to wear to the sessions? Click here to see the recommended clothing list.